Leaving the house with a toddler can prove a challenge at the best of times. They’ll need to be sure they have their own essentials before they head out the gate: the right travel teddy, the correct blankie and their most favourite inappropriate pair of shoes. Luckily YOU can ensure the other essentials are nicely streamlined – with our perfect packing list! It’s thirsty work being out and about, so make sure you have a couple of drink bottles at the ready for your hardworking kiddo. 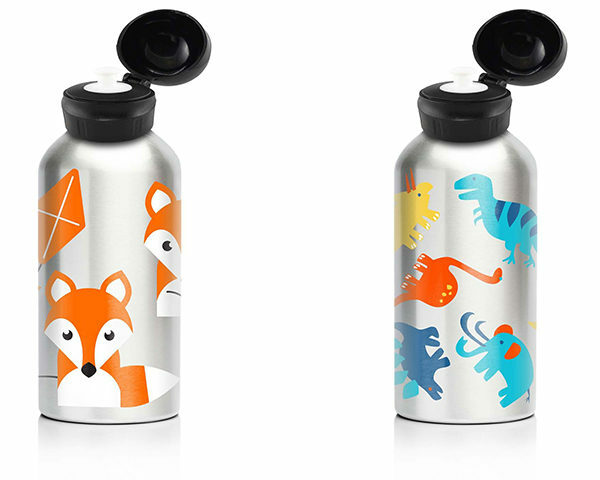 We like these My Family drink bottles because they’re cute and colourful, locally designed, kind to the planet and they make sippy-time fun! Much better to pack your own healthy snacks than end up faced with a questionably fluffy iced donut and a teary toddler. 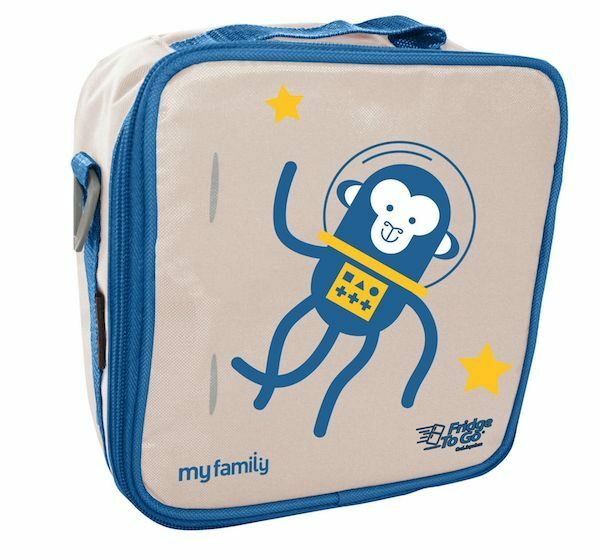 These lunchbags will keep everything stowed neatly and safely until snack time. Pop in a snack for you, too! Everything is messy and sticky and jammy when you are a toddler, so a travel pack of wipes is a no-brainer for busy families on the go. Not only will they ensure your kiddo is kept clean as a whistle, you can tidy up yourself, cafe tables, the pram, little bottoms. All of the options! Pack your wipes, peeps! Even on non-sunny days little skin needs to be protected from those persistent UV rays. Set a good example by applying your own sunscreen too. Your future skin will thank you. The nappies are easy to remember, but a change of clothes is often the very thing you’re missing when your toddler experiences an epic spill. Pack some spares and you’ll be so pleased with yourself when child and puddle collide. (Don’t forget plastic bags for full nappies or dirty clothes, too!). Yep! Even more sun-safe gear – because it’s never too early to model best practice and keep little noggins and eyeballs protected from our super-powered sun. 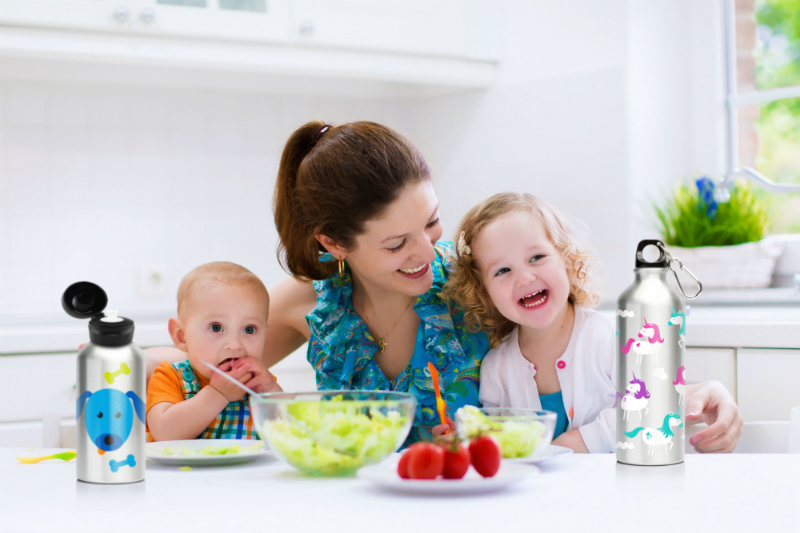 It’s not all about your toddler, don’t forget that YOU need to stay hydrated and that YOU matter too! You may prefer to grab a coffee when you’re out, but a bottle of water is a good option too. For entertainment and distraction, make sure you pop a couple of small toys or robust books into your nappy bag. They’re the perfect partner to whip out when you’re stuck in an unexpectedly long queue or need to lure your child back into their pram. Two… no, three! Pack a bunch of bibs and you’ll ensure that your dribble-prone or spill-prone or spit-up prone child at least stands some chance of being dry and presentable. No, your child probably won’t actually need a bandaid when you’re out, but they do have magical powers and are able to stop tears in their tracks, especially if they have cute little characters on them. A tiny bottle of hand sanitiser is your friend if you’re changing nappies in unexpected locations or if you encounter a particularly rugged cafe table or playground. 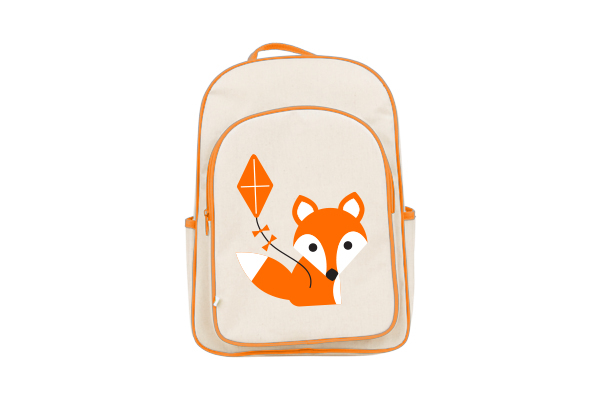 And while you’re packing your nappy bag full of these essential bits and bobs, you might want to let your toddler pack a little bag of their own too? Nothing delights a small child more than mimicking grown-up things!